Gone are the days when finding something online involved typing in long keywords/phrases, now you can simply search for tons of useful stuff by simply speaking to your phone. Introduced in Android powered smartphones, the innovative Voice Search system has allowed consumers to find the best details/information in accordance to the spoken search term/keyword. This blog of mine serves as an attempt to make you familiar with the ultimate significance of voice search feature on your Android smartphone. A young app developer named Ryan Senanayake has come up with a brilliant little tool that has been immensely successful in empowering the in-built Google voice command system. 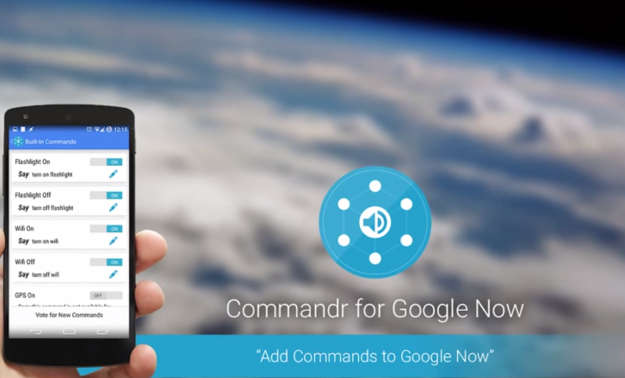 Called as Commandr, this tool is complete free of cost and something you'll definitely like to have on your Android device. Once installed in your Android device, Commandr will operate in the backgound and you'll never actually come to know that you're using it for performing voice search on your device . One of the greatest advantages of Commandr is that it works perfectly with very little effort. This Android voice search app functions by merely listening to the user's search commands via Android's accessibility service. Ever since its release, Commandr has worked consistently well and received regular updates that have played a vital role in improving and expanding its in-built functionality in some interesting ways. The development community behind Commandr has promised that this is just the beginning and that the team is actively working on addition of a host of specialty voice commands including: Wifi hotspot turn on or off, having the device read aloud all the unread Gmail messages from the Inbox. After the incredible success of iPhone 4S's Siri voice control feature, Google took a great dive by introducing one of its kind of virtual personal assistant called Google Now. As the second major company releasing the voice control feature on its millions of mobile devices; Google didn't leave any stone unturned when it came to offering users an excellent voice search feature. Launched on July 9, 2012, Google Now was a major part of the Android 4.1(“Jelly Bean”) update. Much better than Siri, Google Now comes with an add-on feature as per which the user's want is being pre-empted on the basis of their individual search habits and the email history. Once you're done with making the above changes, you can expect your app to receive the SEARCH_ACTION intent that contains the SearchManager.QUERY along with the search expression. Google has always been looking for innovative ways of improving mobile search and retaining user attention on your app. For example, with the all-new 'Google Now' feature, users can simply say “Ok Google, search food store” and view hundreds and thousands of records for the best food outlets in town. Currently available on English locale Android devices running Jelly Bean, Google Now allows Android app users to enable the Ok Google keyword detection via any screen that offers a seamless route between the search command and the Android app under focus. 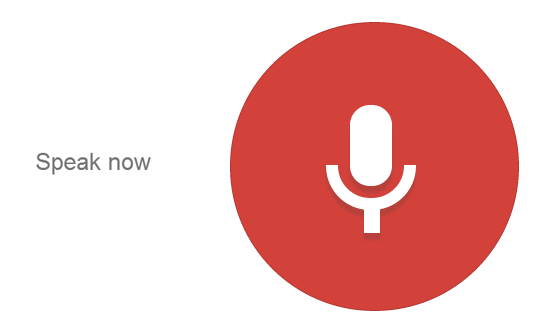 A voice search feature can definitely boost the overall performance of your Android device. All you need to be careful about is the correct set up and installation of the chosen voice command system. With a proper implementation of voice search feature, you'll be able to enjoy your experience of exploring the Android device to the fullest. Victoria Brinsley is a Android app developer for Appsted Ltd. She can assist you the best advices to those who are looking forward to avail Android Development Services for hire.